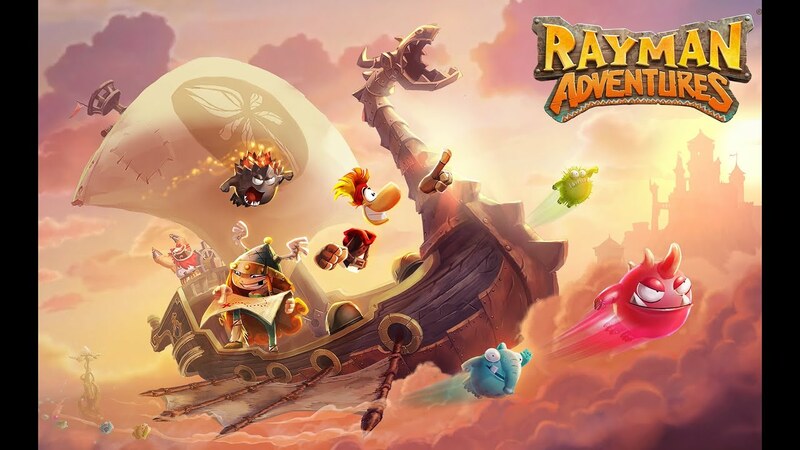 In Rayman Adventures, you sail around in a flying wooden ship with a guy who looks kind of like Hagar the Horrible and collect eggs that hatch into minions-esque creatures that you’re trying to reunite. Each of these creatures makes a weird plant grow a little bit. Don’t worry about it, it doesn’t matter. One of the most intriguing elements of Rayman is the control scheme and how this can shift the genre of the game. Using the standard Apple TV remote, the game functions like a classic runner. Your character runs and it’s just a matter of timing and button presses. Connect a Bluetooth controller, though (I used the SteelSeries Nimbus), and the game becomes a more traditional platformer. While the game is fun either way, using a controller can certainly slow the pace of the game down, letting you backtrack and explore more thoroughly. One consequence of these two control schemes worthy of note is the difficulty level can feel extremely easy with a full controller in the early levels. I must admit to having a moment of wondering if this game was meant for small children at the start, but that abated soon enough and I found myself replaying some levels several times to get a decent score. I would think that younger children would still be able to enjoy the game, but adults will find getting high scores to be a worthy challenge. As mentioned earlier, you collect eggs that then hatch into small creatures (called incrediballs). Each incrediball has a special skill, such as defending you or helping reveal hidden items. At the start of each level, you choose which incrediballs you’d like to assist you. These incrediballs get tired and require food (more on that in the discussion of the free-to-play model of the game), though, creating an interesting strategy as to how best to use them. You can get extra defense by using multiple incrediballs, for instance, but it might be better to conserve your resources and use only one. The level design is varied, making different incrediballs more or less useful. In some cases, you’ll be attempting to survive as many as enemies as possible, while other levels feel positively relaxed as you bounce from wall to wall collecting items to up your score and finding hidden areas ala a classic Mario level. All told, there’s a wide variety of levels that avoid ever getting too repetitive, even if the game isn’t breaking any new ground. For those interested in replayability, I would also add that while the game might not be one you return to regularly after beating it, the levels tend to be short and the game is very forgiving about restarting levels. This reduces a lot of the frustration that can come with retrying levels to get a better score or achieve all of the objectives. One level in particular I must have retried 30 times (in my defense, it was a skull level), but found it a fun challenge that never felt like a slog. While the Apple TV will never push enough polygons to match a modern AAA console or PC title, Rayman is undoubtedly a lovely game. With an art style that evokes the Romantic period of European painting, it has a hand-drawn quality that is soothing and appealing. The framerate also remains consistent throughout the game, with even hectic moments not causing any stuttering. The music and sound effects are suitable companions to the artwork: generally soothing and evocative. I will add that none of the music is likely to be stuck in your head due to being catchy, but it’s also not going to make you want to throw the controller at the TV. Free-to-play games are a blessing and a curse, as most of us have discovered. While it’s great to be able to try new games with no investment, sometimes time and annoyance is more important than paying a few bucks. 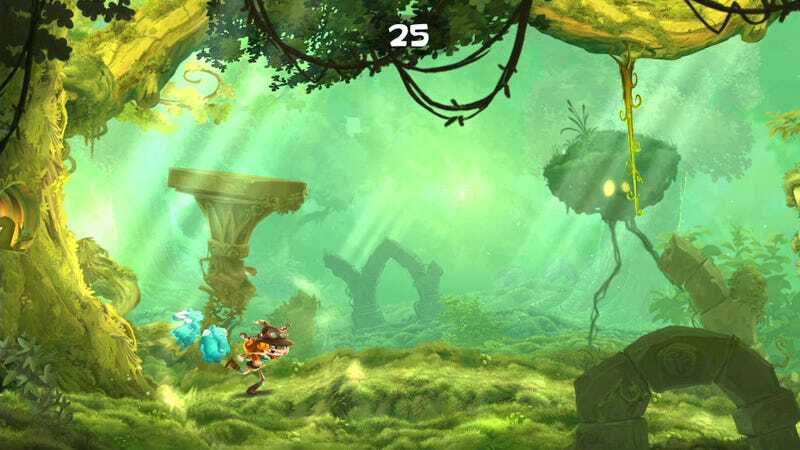 In Rayman’s defense, it’s pretty easy to play for free without having to buy anything to speed up a timer, add to an energy system, or anything along those lines. For most people, you’ll be able to download the game and enjoy it thoroughly without paying a cent. That said, the game certainly wants you to buy into its in-app purchases. You’ll get frequent reminders and special offers about what all you can get for a few dollars or watching a video. This isn’t a major obstruction to enjoying the game, but for my part, I’d much rather have paid for a version without these interruptions. 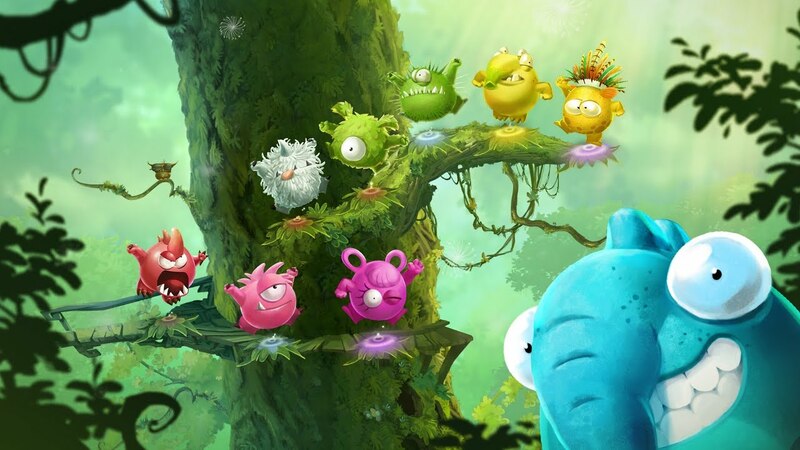 The Apple TV as a gaming platform is still in the very early days, but Rayman Adventures has managed to offer an attractive, well-designed game that offers hours of fun, whether you’re using the standard remote or a controller. The nagging about (unnecessary) in-app purchases detracts from some of this enjoyment, but it’s certainly worth downloading and exploring.